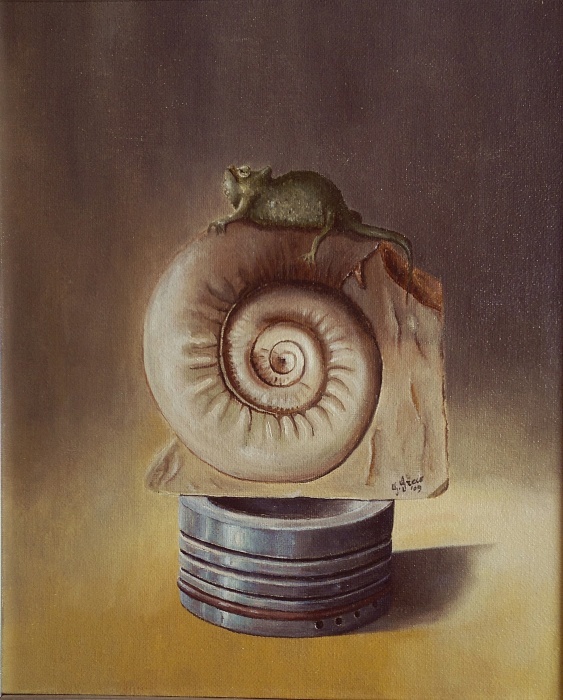 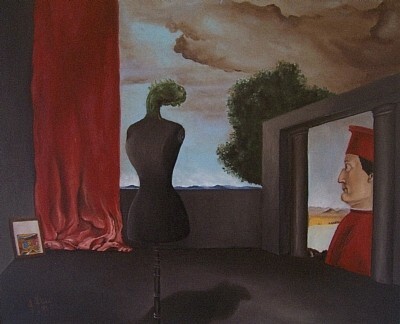 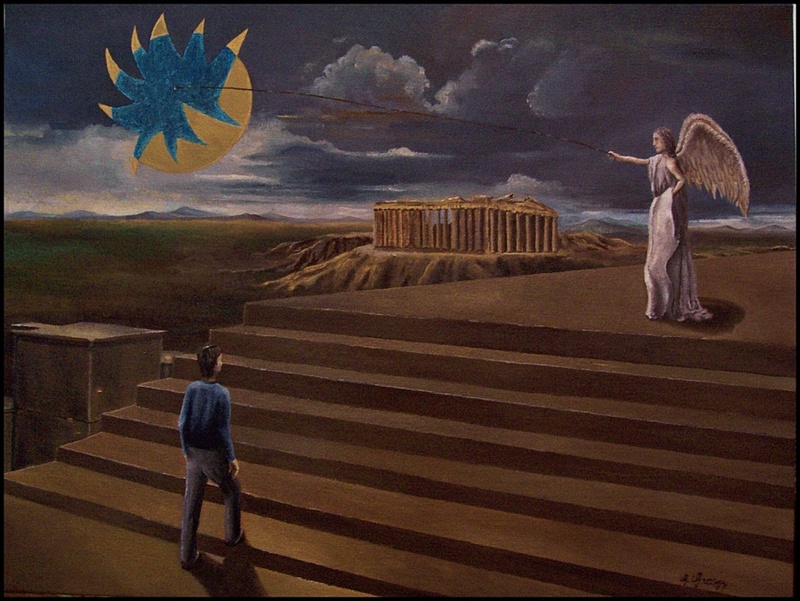 His activity as a painter moves from Magritte’s example as a thought of rupture with everyday reality in order to get free from it; successivelly he turns to De Chirico as a means to be able to insert a personal spatial and temporal dimension, where it becomes possible to match two seemingly contradictory strata, dream and objective reality, into a kind of absolute reality. 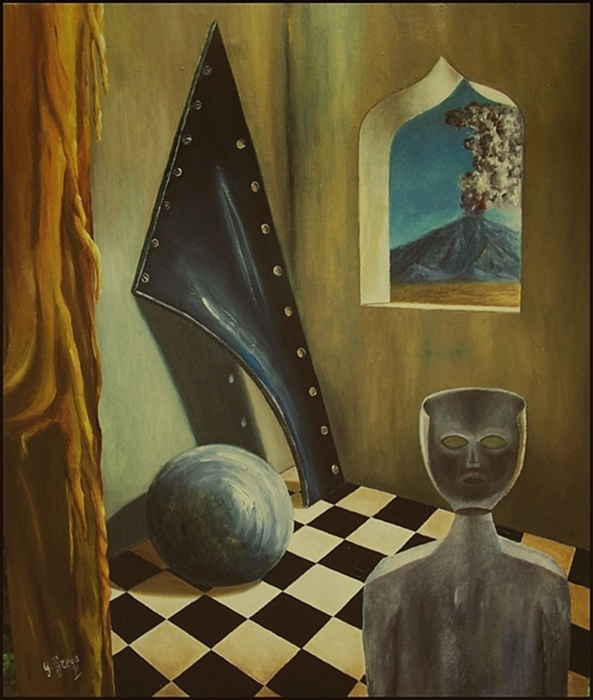 Later he is attracted by metaphysical painting, especially by De Chirico’s works, not just because of his stylistic choices, but for the interest expressed by a compositive steadiness. 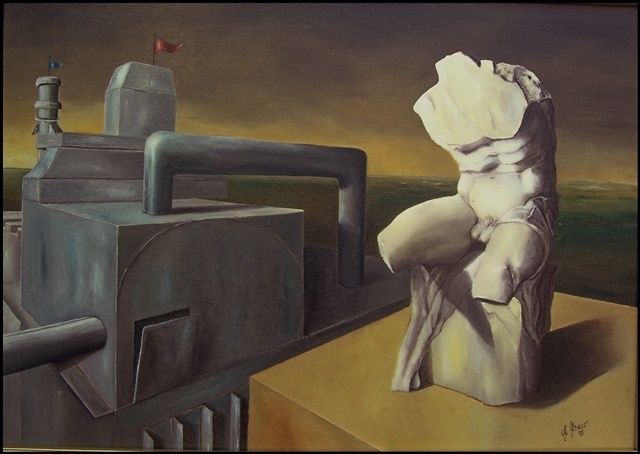 Objects, figures and space itself become powerful masses created by sombre and mellow chromatic volumes in a context where time seems to stop; subjects look suspended between metaphysical influence and neoclassical memories drawn from the past and deprived of time, in an unknown world.